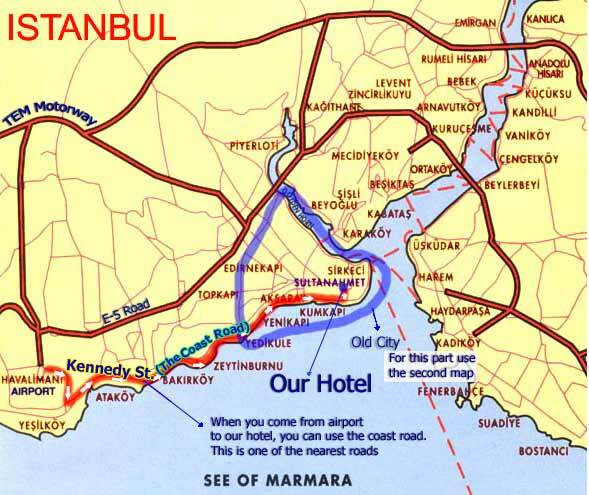 When you come to Istanbul by using the airport, and taking a taxi, it is better to use these maps to get our hotel in the easiest way. 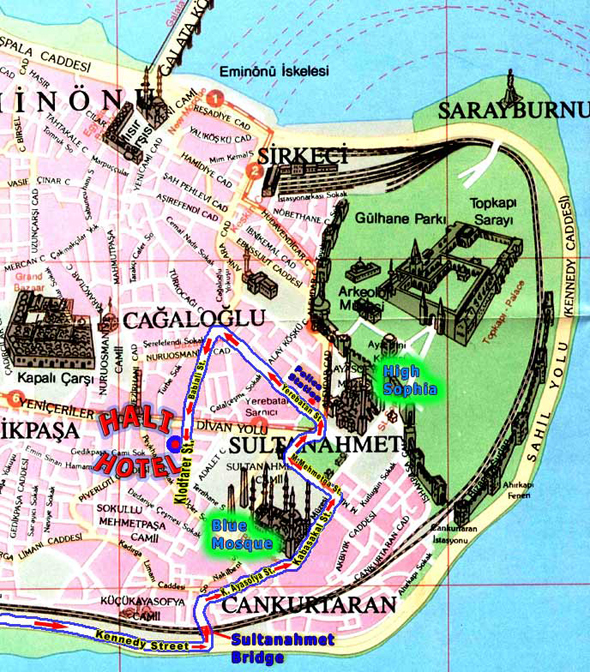 Please print these two maps and tell the taxi-driver to take you to our hotel by using Kennedy St. (The Coast Road) and when you reach the SultanAhmet Bridge, tell him to turn to SultanAhmet. 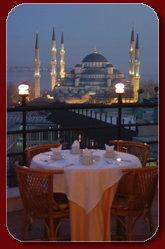 After these step use the second map at the bottom of the webpage to reach our hotel. It is very easy if you follow this road. Because there is seldom traffic jam on the Coast Road. Do not let the taxi-driver use another road e.g. E-5 or TEM motorway. Because There is always traffic jam on E-5 road. And TEM motorway is very far to our hotel. 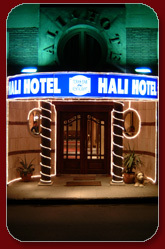 If you have any question of getting to our hotel, please contact us.